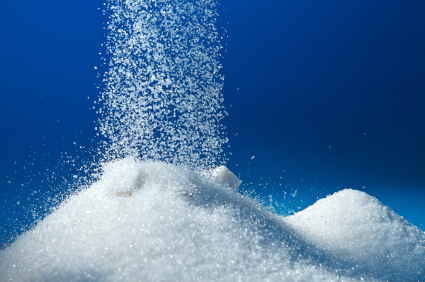 Americans each consume more than 150 pounds of sugar and related sweeteners each year. There are 17 teaspoons of sugar in a single can of Coke. Author of Lick the Sugar Habit by Nancy Appleton discusses how this sugar overconsumption severely compromises our immune and endocrine systems, leading to chronic conditions including osteoporosis, osteoarthritis, asthma, diabetes, and hypoglycemia, along with cavities and periodontal disease. Appleton, a former sugar addict, suffered from numerous allergies, plus bronchitis, pneumonia, and even a chest tumor that turned out to be a huge calcium deposit that resulted from her body’s inability to process the pounds of sugar she ate. Sugar addiction is a true disorder. It is biochemical, and not simply about willpower. Some individuals are sugar sensitive; sugar acts like a drug in your body. In fact, it affects the very same brain chemicals that heroin, amphetamines, and morphine do. Being sugar sensitive means you have low serotonin, low beta endorphin and unstable blood sugar. All three are out of balance. If you are sugar sensitive, what and when you eat has a huge impact on how you feel. Eating a diet high in sugar, refined flour, alcohol and junk foods can cause your body to spiral out of control. Many people have an overgrowth of Candida albicans (yeast) in their bodies. Candida lives on sugar and refined carbohydrates and thus exacerbates cravings for sweets. Candida, in addition to sugar consumption, can also create severe health problems (leaky gut, chronic inflammation, and severe mood swings, to name a few) if left untreated. THE SCIENCE BEHIND SUGAR: CLASSIFIED AS A POISON? In 1957, Dr William Coda Martin tried to answer the question: When is a food a food and when is it a poison? His working definition of “poison” was: “Medically: Any substance applied to the body, ingested or developed within the body, which causes or may cause disease. Physically: Any substance which inhibits the activity of a catalyst which is a minor substance, chemical or enzyme that activates a reaction.”1 The dictionary gives an even broader definition for “poison”: “to exert a harmful influence on, or to pervert”. Refined sugar is lethal when ingested because it provides only that which nutritionists describe as empty calories. It lacks the natural minerals which are present in the cane or sugar beet. Refined sugar actually drains and leaches the body of precious vitamins and minerals through the demand its digestion, detoxification and elimination make upon the body. When dealing with an influx of sugar, minerals such as potassium and magnesium (from vegetables), calcium (from the bones) and sodium (from salt) are mobilized and neutral acids are produced in an attempt to return the acid-alkaline balance factor of the blood to a more normal state. Sugar and white flour products are believed to have a direct effect on cancer growth, as well as acting to nullify the positive effects of protective foods such as fiber. In addition, they can significantly add to the risk of breast cancer, says cancer researcher Wayne Martin, of Fairhope, Alabama. “When someone eats sugar, the body produces insulin, and insulin can promote breast cancer just as estrogen does,” he explains. Sugar is remarkably effective at lowering the immune system’s ability to work properly. 100 grams (8 tbsp.) of sugar, the equivalent of about two cans of soda, can reduce the ability of white blood cells to kill germs and the immune-suppressing effect of sugar starts may last for five hours. As the average American consumes about five ounces (9 tablespoons) of sucrose (granular sugar found in processed foods) daily, the immune system of many people is chronically suppressed from dietary factors alone. Excess sugar eventually affects every organ in the body. Initially, it is stored in the liver in the form of glucose (glycogen). Since the liver’s capacity is limited, a daily intake of refined sugar soon makes the liver blow up like a balloon. Once the liver is maxed out, the excess glycogen is returned to the blood in the form of fatty acids. These are taken to every part of the body and stored in the most inactive areas: the belly, the breasts, thighs and buttocks. When these places are filled, fatty acids are then distributed among active organs, such as the heart and kidneys. These begin to slow down; finally their tissues degenerate and turn to fat. The whole body is affected by their reduced ability, and abnormal blood pressure is created. The parasympathetic nervous system is affected; and organs governed by it, such as the small brain, become inactive or even paralyzed. The circulatory and lymphatic systems are invaded, and the quality of the red corpuscles starts to change. An overabundance of white cells occurs, and the creation of tissue becomes slower. Our body’s tolerance and immunizing power becomes more limited, so we cannot respond properly to any sort of “attack”: excess heat, cold, heat, microbes or mosquitoes. In her book Potatoes Not Prozac, Kathleen DesMaisons, Ph.D. outlines seven steps to restore balance in the sugar-sensitive brain and body. These steps work by using nutrition to balance blood sugar, raise serotonin and keep beta endorphins at optimal levels. This changes the body’s sugar-sensitive biochemistry greatly helps with one’s sense of well-being. This is our aim as well. Sugar tosses you in the air, and then drives you into the ground. It is highly addictive, and it interferes with clear mental processing and natural energy. Your body registers fullness on fat content and nutrient-density- sugar does not register on these scales, and thus you are not satisfied. Enzymatic digestion of foods prepares them for use by our body. Bacterial decomposition (created by excess sugar consumption) makes them unfit for use by our body. The first process gives us nutriments; the second gives us poisons. IT’S GO TIME! IF YOU CAN’T GO COLD TURKEY, QUIT IN STAGES! As with any drug addiction, it is the first few days that are the most difficult. The first recommended step is to get rid of everything in your pantry, cupboards, and refrigerator that contains refined sugar. In addition to the obvious packaged cookies and ice cream, this includes ketchup, canned soups; even milk substitutes like almond milk and coconut milk are sometimes sweetened with cane sugar. For some of you, going cold turkey is the best option. For those who have experienced a high failure rate from attempting to give it all up at once, there’s another way! For 30 days, write down everything you eat, every day. A century ago, the average American ate roughly 5 pounds of refined sugar per person per year. Now, the average American consumes 175 pounds of sugar per year. Read the ingredient panel on the foods you purchase and jot down all the places sugar is lurking. You will be shocked by the places sugar is hiding in your diet. During these 30 days, we highly recommend you purchase William Duffy’s “Sugar Blues” or check it out from the library. It’s the best resource on sugar addiction we’ve found. Lick the Sugar Habit by Nancy Appleton is also excellent. If you’ve been using sugar as a fuel, we also highly recommend the book “Spent” by Dr. Frank Lipman so you can learn why you are exhausted all the time, and how that can be rectified not only through diet, but lifestyle changes such as eliminating all electronics before bedtime! Even if you find yourself eating too many natural sweeteners while you transition, they will not give you the same addiction problems. After you transition you will naturally wean yourself down to healthy levels of natural sweets. Keeping a balance of healthy fats in your diet will also help during this time. When a sugar craving hits, try having a glass of raw milk, some gluten-free toast with ghee, a smoothie with avocado instead of banana, or a handful of almonds. Try to go one month without refined sugar. One to two pieces of fruit daily is ok, and substitute refined cane sugar with raw honey, organic maple syrup, stevia powder, Rapadura, and molasses. When baking, also substitute refined flour with non-gluten flours such as almond flour or brown rice flour. We recommend the same diet as with most disorders: pastured meats and eggs, lots of organic vegetables and vegetable juices, good fats such as pastured lard, ghee and organic virgin coconut oil, minimal fruits, and minimal grains. Reducing or eliminating gluten during this phase will also help reduce cravings. Now, try to go 30 days without any sweeteners or fruits. This will help eliminate the last of your cravings and kill the excess Candida. If you have a juicer or access to fresh organic vegetable juice, experiment with vegetable juicing- having it when you first wake up is a great way to suffuse your body with nutrients and gives you a great energy boost. One of our favorites: one carrot, one apple, one bunch of celery, ¼ head of cabbage, ½ lemon, one piece of ginger. Always, always eat breakfast, with a protein component. If you can’t stomach that idea, make a smoothie with protein powder. Eat small frequent meals to keep blood sugar steady. Drink filtered water with lemon to stay hydrated. If you’re not on an exercise program, begin one now. Three days a week, one hour a day of anything you like: walking, yoga, circuit training, Pilates, etc. is a great way to start. After this time period, you will feel better than you’ve felt in a long time. You may want to continue without any sweeteners for several months, to thoroughly regenerate your system. There is a great article on Candida that can guide you along the path to the elimination of Candida and total gut healing. Eventually you can go back to using natural sweeteners in moderation, ideally no more than twice a week. After educating yourself, it will be easier to avoid refined sugar, or to get back on track more quickly if you suffer a setback. Knowledge is power! Martin, William Coda, “When is a Food a Food-and When a Poison?”, Michigan Organic News, March 1957, p. 3. Bristol JB Sugar, fat and the risk of colorectal cancer. Brit. Med. J. 291:1457, 1985). Horrobin DF. Diet and breast cancer: The possible connection with sugar consumption. Med. Hypo. 11(3):319-27, 1983). Hoehn SK, Carroll KK. Effects of dietary carbohydrate on the incidence of mammary tumors induced in rats by 7,12-dimethylbenz(a)-anthrancene. Nutri. Cancer, 1((3):27-30, Spring, 1979).